Production Company: Fremantle Media Ltd.
BBC documentary series Great British Railway Journeys which first premiered on BBC Two in 2010, returns for its tenth series. 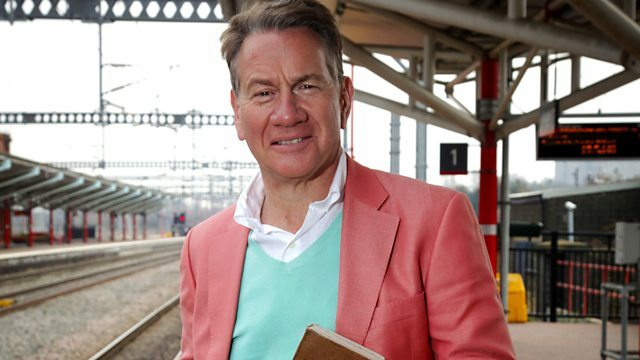 Presenter Michael Portillo (Great Continental Railway Journeys) travels around the railway networks of Great Britain. He does this whilst referring to an 1840’s copy of Bradshaw’s Guide, comparing how various destinations have transformed since Victorian times. For the new series, production filmed at railways in various Kent locations, such as Gravesend, Dartford and Folkestone. Situated in North West Kent is the town of Gravesend which has exceptional transport links up to London, a cast iron pier, promenade and high street. Gravesend has previously hosted productions including Great British Railway Journeys (2014), The Hospice (2018) and Children in Need – The Rickshaw Challenge (2015). Dartford is a historic town situated close to London and home to one of Europe’s largest shopping centres. Previous productions which filmed here were Who Do You Think You Are? (2014) and When I Get Older (2012). Folkestone is a port town on the English Channel in Kent, with an elegant Victorian clifftop promenade, a creative quarter, gardens, a coastal park, and fishing Harbour. It has also been used as a popular filming location for productions such as Danny Boyle: Pages of the Sea (2018), The Channel: The World’s Busiest Waterway (2017), and Coast v Country (2017). The new series of Great British Railway Journeys began airing on 4th February 2019 at 6.30pm on BBC Two, and the Kent episode then aired on Wednesday 13th February 2019.